The U.S. Army was in charge of exploring and mapping America. 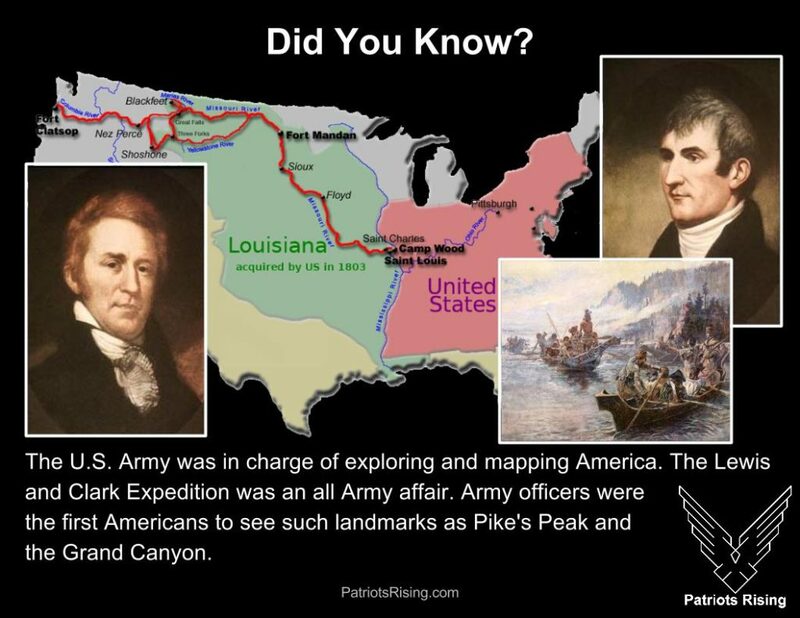 The Lewis and Clark Expedition was an all Army affair. Army officers were the first Americans to see such landmarks as Pike’s Peak and the Grand Canyon.